Learn to lead… as opposed to learning about leadership. 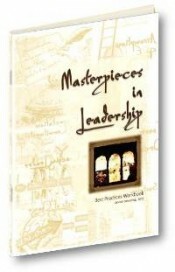 Masterpieces in Leadership is a 4-month, coach-led, leader development program for teams, groups, or individuals. It includes 360 assessment, commitment building, best practices, and twice monthly coaching. Masterpieces in Leadership is a strength-based, coaching program in which participants apply best-practice techniques to improve their leadership effectiveness. The program provides a supportive environment for leaders to examine and build upon their behavioral strengths and integrate personal values into their work-related passions. Introduction of best practices through a well-structured process enables participants to use their daily work as a laboratory for learning and achieve strategic outcomes. The program begins with a 360-Degree Leadership Assessment and feedback to uncover individual behavioral strengths. Next, the participants embark on a powerful commitment-building exercise that taps into who the client is, what is important to the client, and how the client can use the feedback in setting goals and expectations. The next five sessions introduce best practice techniques. Participants use well-thought-out process modules for trying out these skills in their workplace. 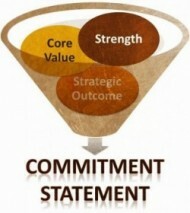 As they reflect on what worked and what did not, the coach offers new perspectives, suggests alternate approaches, and identifies barriers to achieving commitments. The program concludes with a visioning exercise and social motive workshop. Regardless off the assessment tool you select, each isolates the 7 specific behaviors in the Masterpiece Leader Competency Models. Use for goal-setting, evaluating outcomes, and gaining support. Create a consistent message around what is important. Then commit to it and see it through. A workbook will guide you through the 'challenging assignments' with Cognitive Tools, worksheets, and action plans. Copyright 2016 – daVinci Consulting – All rights reserved.